If you've become disabled and can't work, the first thing you should do is apply for disability benefits so that your eligibility for Social Security Disability can be determined. You can apply in person, over the phone, or online - or Keefe Disability Law can complete the online application for you! When our office helps you with your claim for Disability Insurance Benefits, we can complete the online application for you. That way, you can get your claim started off right! In order to do this, we ask you to complete our forms, so that we have the best information to begin your application, and fill out the reports that Social Security requires. If you would like our help starting your online application, just call us at (888) 904-6847 to set up an appointment. You can apply for Social Security Disability benefits in person by going to your local Social Security office. You should call (800) 772-1213 to make an appointment. Under this option you would meet with a claims representative who is trained to not only listen to your story but to also write down notes and details about how you look, act, etc. The judge may take those notes and observations into consideration when making his or her decision. Obviously, one drawback to this method is that it may be difficult for you to physically get to the Social Security office. If your claim is for Supplemental Security Income (SSI), this is your best bet. But if you have difficulty getting to the Social Security office, the next option may be more convenient for you. To apply over the phone, simply call Social Security at (800) 772-1213. Social Security will collect some basic information from you and will arrange a telephone interview at a later date. Once the interview is finished, they will send you papers necessary to start your claim for Social Security benefits. 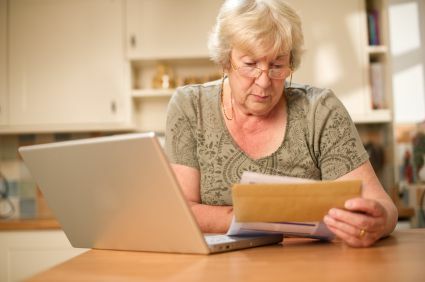 You will need to look over the papers, sign them and return the papers to Social Security to complete your application. You can apply for disability benefits online by visiting the Social Security Administration's website. Note, however, that only applications for Disability Insurance Benefits may be started online. If you may be eligible for Supplemental Security Income, you will need to apply for those benefits either in person at your local Social Security office or by calling Social Security at (800) 772-1213. If you do apply online, and you have access to a printer, we suggest that you print out two important numbers as you work on the application. One is the "Re-entry Number." This number will allow you to close the application session before you have finished and return to it later, without having to start the forms all over again. So print that number or write it down. Once you have completed the application, and pressed the "Submit" button, print out or write down the "Confirmation Number." This is proof that you filed your application online. After you have filed it electronically, we recommend that you call Social Security to confirm that your application was received. When we file applications for our clients, we take care of all these details for you. Our disability lawyers know that it is hard enough dealing with a disability, whether it was caused by an accident, medical issue, or other unforeseen circumstance. It can be overwhelming when you are unable to work but still have to pay bills and put food on the table. We can help. The U.S. government has special programs to help those who are unable to work because of a disability, and the lawyers at Keefe Disability Law can help you gain access to those programs. Social Security Disability pays out monetary benefits if you meet their disability standards. It also, depending on eligibility and government limits, provides benefits of up to 50% of your disability amount to your spouse, minor children, your divorced spouse, or your disabled children. And, sometimes even more importantly, it provides health insurance coverage for the disabled. In order to qualify for Social Security Disability, you must have worked at a job covered by Social Security and are currently unable to work for at least a year due to your disability. It is also important to note that, depending on your age, you must have worked at the covered job recently and for a certain number of years. Learn more about finding out how long I must have worked to qualify for Social Security. What does the U.S. government consider a "disability"? The disability has lasted or is expected to last for at least a year or expected to result in premature death. How does Social Security make this determination? Is your condition "severe" and interfering with daily work tasks? Is your condition found on the Social Security Disability's list of disabling conditions? Can you do the work you previously did? If you answer "yes" to questions one, four or five, there is a chance that you may not qualify, but it is worth asking an experienced Social Security Disability lawyer to help you. If I'm approved, how long will my benefits continue? Monetary monthly benefits usually continue until you are able to return to work. If you reach retirement age, and are therefore eligible for regular Social Security benefits, then your Social Security Disability program will automatically roll over to Social Security retirement benefits. Your benefit amount will stay the same. You can also apply for Social Security Disability by applying online, calling 1-800-772-1213, or visiting your local Social Security Administration office. Want more information? Contact the lawyers at Keefe Disability Law at 888-904-6847 for your free copy of their book, 7 Costly Mistakes That Can Ruin Your Social Security Disability Claim. Fill out this online form to have one of our social security disability lawyers contact you for your free, over-the-phone screening to determine your eligibility for Social Security Disability.